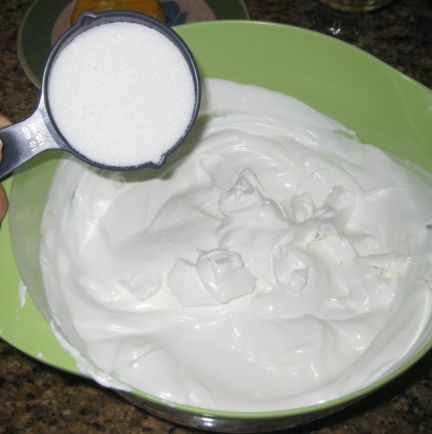 A Meringue is basically a dessert make with whipped egg whites and sugar and then baked in the oven at a low temperature to dry it out. 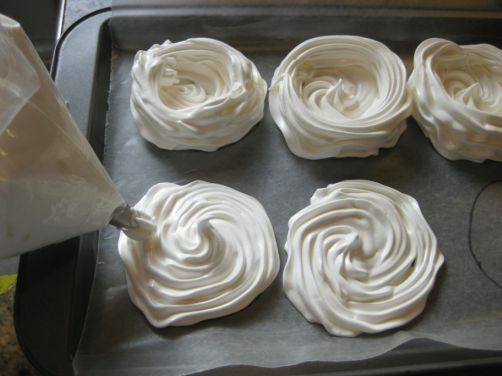 Meringues are very light, airy, crunchy and dry. 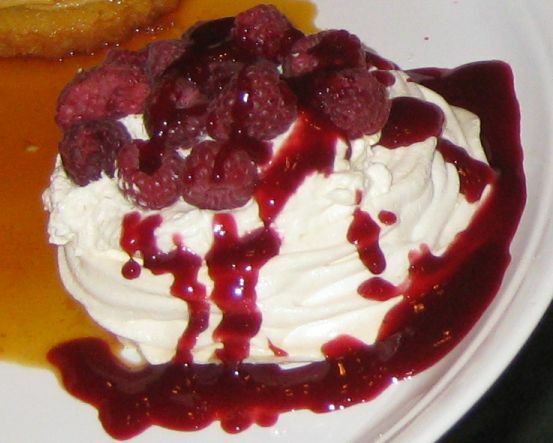 Here I am pairing the Meringues with Chantilly (whipped cream), topped them with fresh raspberries and then served them with a yummy raspberries sauce. 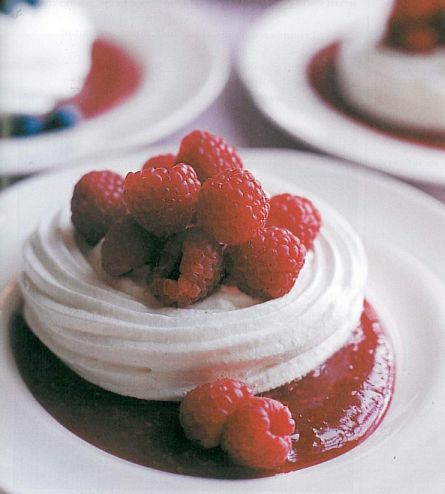 I like the meringues because they are crunchy and so light. 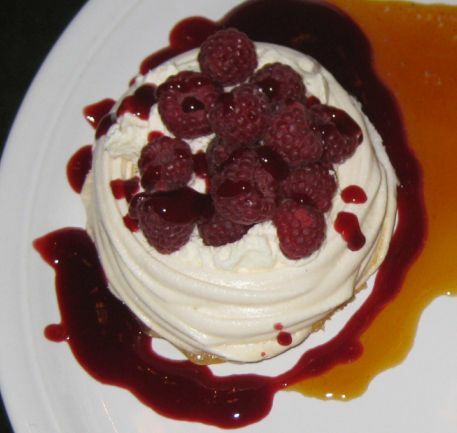 Raspberries are in season right now and they are at their best. 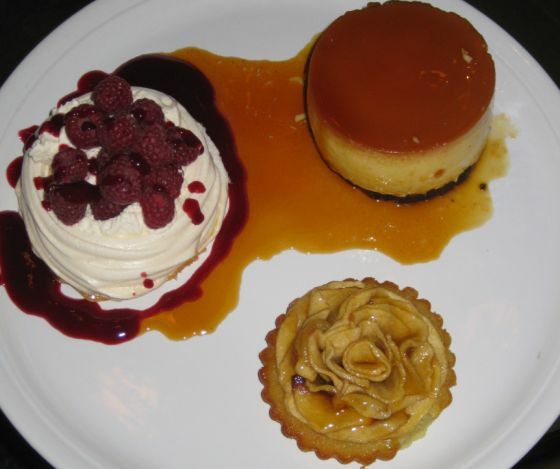 I served this trio of desserts at Phuong's 50th birthday! 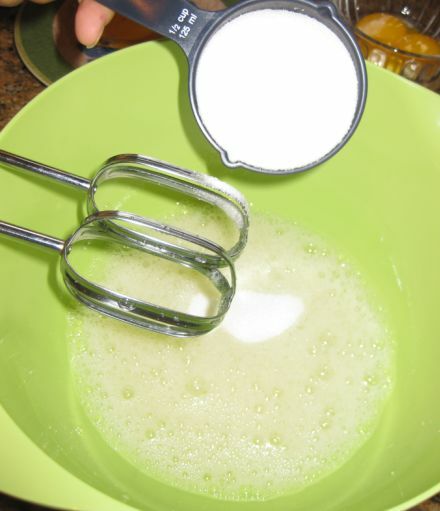 Egg whites, cream of tartar, and a large pinch of salt are whipped with an electric mixer until frothy. 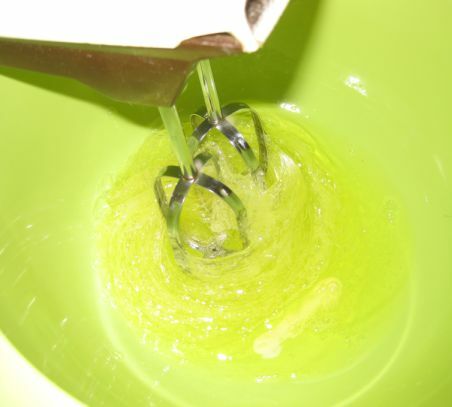 ...andfolded carefully into the egg whites. 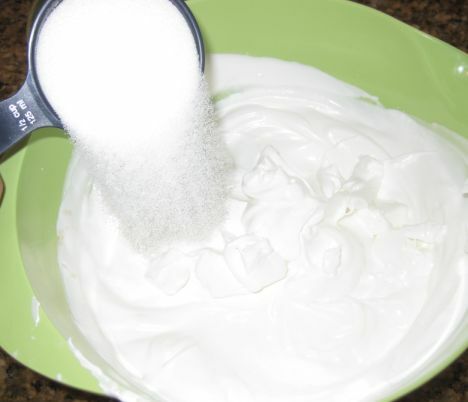 Notice that the egg whites are now shinny and stiff. I drew a few round circles on waxed paper lining my tray and piped some of the egg whites in to circles. 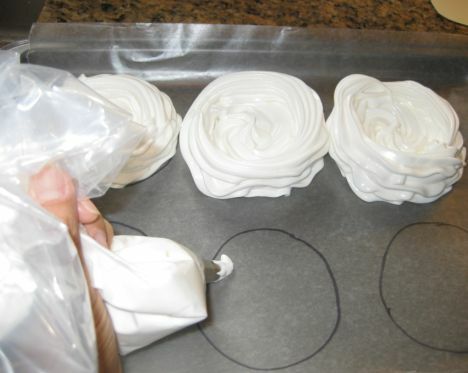 Piping a disc of meringue inside each circle and then another layer around the edge to form the sides of the shells. Here the shells are going in the oven for 2hours at 200 degrees oven and then the heat will be turned off but the meringues will stay in the oven for another 3 hours. 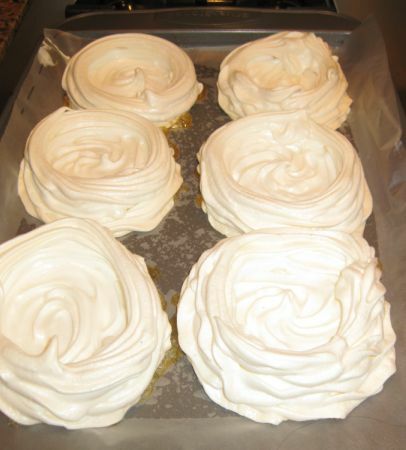 After 5 hours in the oven, the meringues came out crunchy and so beautiful. 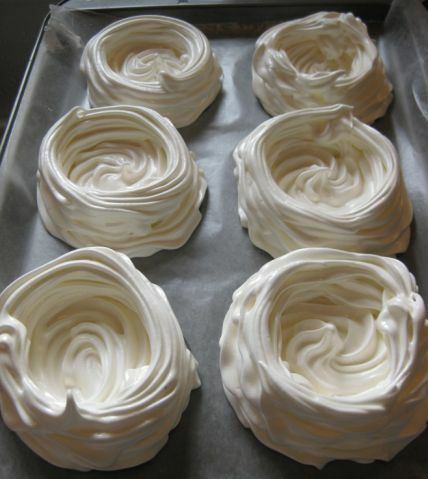 All I need to do is to filled them with Chantilly cream, add a few raspberries and spooned some raspberries sauce.